While a lot of people say they don’t like to blog, what they don’t realize is that posting something on Facebook is already a form of blogging. The latest or most recent posts appear near the top of the page, while the older posts are usually pushed downwards. Since you are most likely comfortable with Facebook, then it will help if you go and setup your own Facebook fan page. 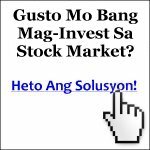 It’s easy, it’s fast, and it will help you promote various products, services, or even causes and advocacies that you believe in. So go ahead and increase your online marketing skills with this Facebook fan page tutorial.